The Lessard Research Group is a team of researchers led by Prof. Benoît Lessard (P.I) based out of the University of Ottawa (Ottawa, Ontario, Canada) in the Department of Chemical & Biological Engineering. The group focuses on the synthesis, characterization and implementation of novel materials into next generation application such as organic electronic devices . Find out more about us and how you can become part of this growing team! Or collaborate with our group! Congrats Victoria! 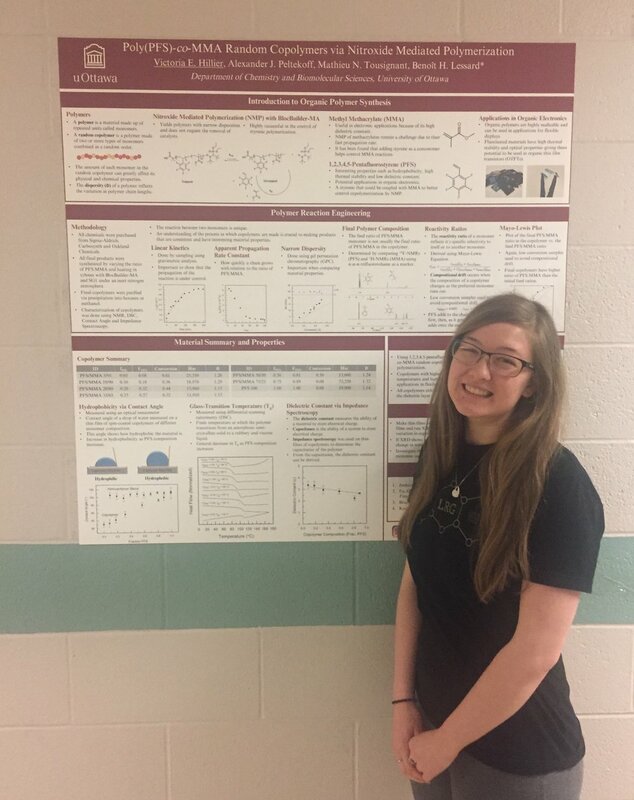 Best honors thesis poster prize in the uOttawa Chemistry Department!